PEACEFUL, BRIGHT AND JOYFUL 3/1 COLLEGE PARK HOME!!! Premium location close to the heart of College Park, Winter Park, and Downtown Orlando. Walking distance to popular restaurants & shopping, top rated elementary school, Community Center & Pool; with Dubsdread Golf Course nearby. Original Wood Floors, kitchen cabinets & solid interior doors. Beautiful with recent face lift: New Paint In & Out, Remodeled Bathroom & Kitchen, Updated Electric Panel, Newer AC Unit & Heat Pump, USB Outlets in Living Room & Master Bedroom, New Lighting & Remote Controlled Fans. Oversized yard spans the block between Harrison Ave & Helen Ave-perfect for entertaining or a ton of playing outside in the security of the fenced back yard. Carport plus separate laundry/storage area. The Bonus room ,when closed off with the french doors, gives privacy for utility, sunroom, playroom, office, crafts/artisan , morning coffee/ exercise/ yoga or reading room. Amazing home has a rear ( almost hidden) driveway entrance, no front sidewalk, & friendly paved front porch perfect for seeing every captivating color in the sunsets. Dreamy and sold "As Is". Yet, Accommodating ( as zoning allows) if you feel the need to remodel /expand. The BIG Front Bedroom closet can be convert to a half (1/2) Bath, the backyard can accommodate additional rooms, or a pool/ spa! Harrison Ave. has a close knit family feel with friendly neighbors . Easy access to I-4 & Florida Hospital. This is a great College Park home offered at a fantastic price for this area! Directions:Princeton [email protected] I-4 .WEST on Princeton St., RT @ Elizabeth Ave ,RT @ W Winter Park St, LF @ 1st cross street Harrison Ave. 2617 on right. Note: Property's drive way is not on Harrison Avenue. Park on Street. Hidden Driveway at rear of Property on Helen Ave.
SchoolsClick map icons below to view information for schools near 2617 Harrison Avenue Orlando, FL 32804. Listing provided courtesy of White Brick LLC. MFRMLS data last updated at April 23, 2019 9:31:15 AM PST. Home for sale at 2617 Harrison Avenue Orlando, FL 32804. 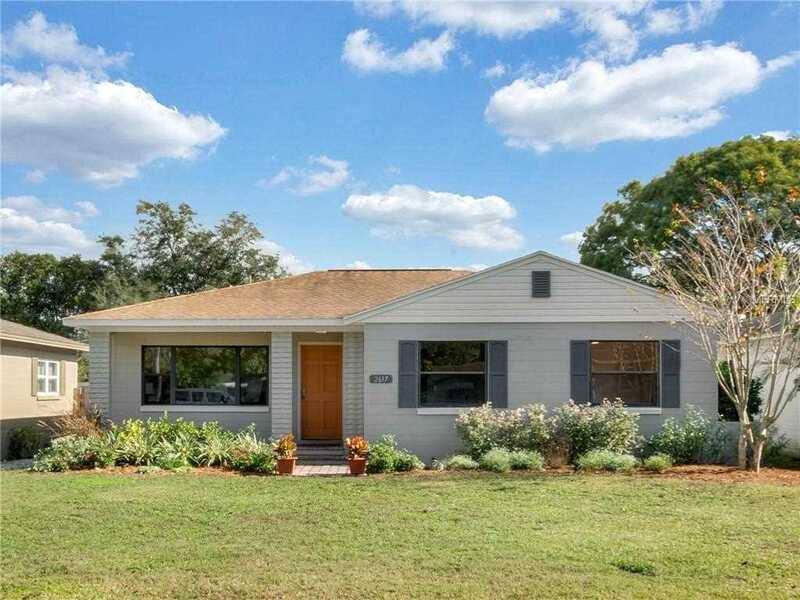 Description: The home at 2617 Harrison Avenue Orlando, FL 32804 with the MLS Number O5751899 is currently listed at $300,000 and has been on the Orlando market for 120 days. You are viewing the MLS property details of the home for sale at 2617 Harrison Avenue Orlando, FL 32804, which is located in the Anderson Park subdivision, includes 3 bedrooms and 1 bathrooms, and has approximately 1245 sq.ft. of living area.